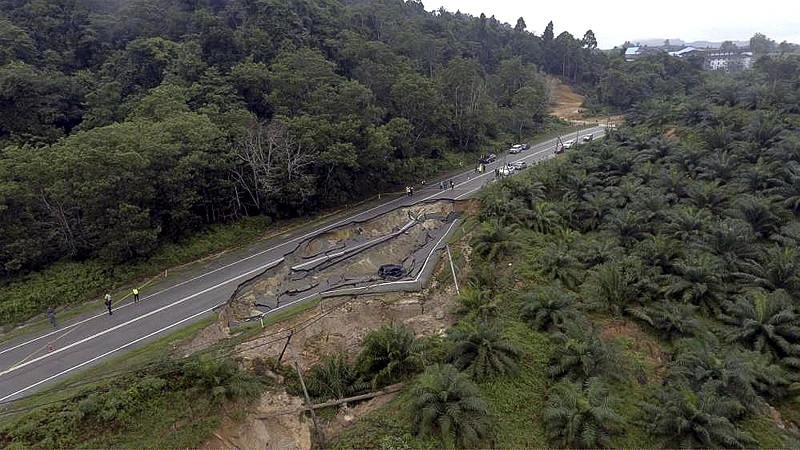 Three people escaped death when their car plunged into a giant, 70-meter-long sinkhole and 15-meter-deep sinkhole that swallowed up half of the road they were driving on near Mersing, Malaysia. 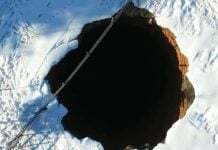 The cave-in occurred at about 2.30am on January 15, 2018 due to the continuous rainfall of the past several days. 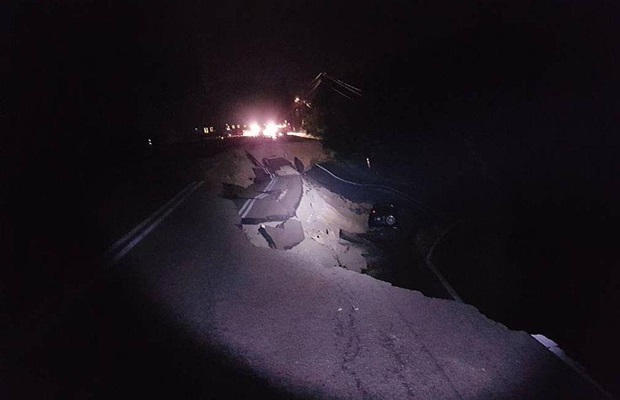 For safety reasons, Jalan Jemaluang which connects Mersing and Johor Baru is temporary closed off to traffic. However, the 3 passengers escaped unhurt. 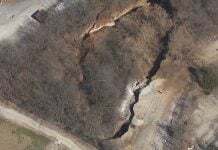 Meanwhile, in the Pennsylvania, 7 houses were evacuated after finding a deep sinkhole beneath. 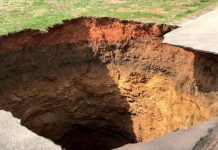 Meanwhile in the USA, a building comprising seven townhouses was condemned in Bethlehem, PA, after a sinkhole opened up beneath the structure. More than a dozen residents were ordered out of their homes after the dramatic discovery. A total of 80 homes in the complex are without water. ANother building is also without natural gas service, leaving those occupants without heat. Our earth is moving, groaning… and swallowing up houses, roads and cars.